May 12, 2016 --- Marine science technology supplier, Planet Ocean, UK and Ireland agent for US based laboratory instrumentation manufacturer, Fluid Imaging Technologies, are pleased to announce a new instrument, FlowCam® Macro, will be used for zooplankton analysis and research at Sir Alister Hardy Foundation for Ocean Science (SAHFOS) in Plymouth, UK. 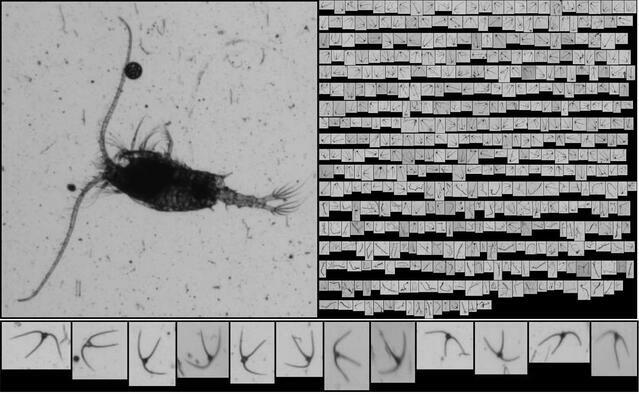 The FlowCam Macro will enable advancements in the study of zooplankton and other large particles up to 5mm in size using imaging analysis technology. Prof Willie Wilson, SAHFOS Director noted, “This is new territory for SAHFOS, both in terms of technology and the types of research we will be able to conduct. The analysis of plankton samples is a core aspect of our work and to have a new tool that helps us rapidly and accurately conduct this will create new business opportunities for us.” Dr George Graham, SAHFOS Marine Instrumentation and Data Scientist said, “The science at SAHFOS is unique, Fluid Imaging Technologies have embraced this and their newly developed instrument will complement our microscopic analysis and proven world-class taxonomic expertise. The intuitive image analysis software will highlight samples of interest for our expert team of analysts." About Fluid Imaging Technologies, Inc. - Fluid Imaging Technologies manufactures industry-leading particle analysis instrumentation based on digital imaging technology. Its flagship product, the FlowCam®, is the first automated particle analysis instrument to use digital imaging for measuring size and shape of microscopic particles in a fluid medium. For information please visit www.fluidimaging.com.